Leadership What role can you play in your company’s digital success? What role can you play in your company’s digital success? Romain Le Merlus, Co-Founder and CEO of Centreon Software Systems, North America. You are in information technology. It doesn’t matter if your industry is finance, retail or health care. You might be the sales or marketing leader. You may be the CEO or chief information officer. But today, IT has become all-encompassing, and we are all a part of it and responsible for it, whether we realize it or not. IT has moved out of the back office to the forefront of nearly everything we do in business – and life. Just think how we take technology for granted. At all times, we are connected to the main office, factories and branches, whether here or across oceans. Critical corporate data and applications must be accessible without a hitch. Productivity and e-commerce apps improve our performance exponentially, while customer and partner transactions occur on a 24/7 basis. Bridging the gap between IT and business performance is a part of the DNA on which my company was founded. 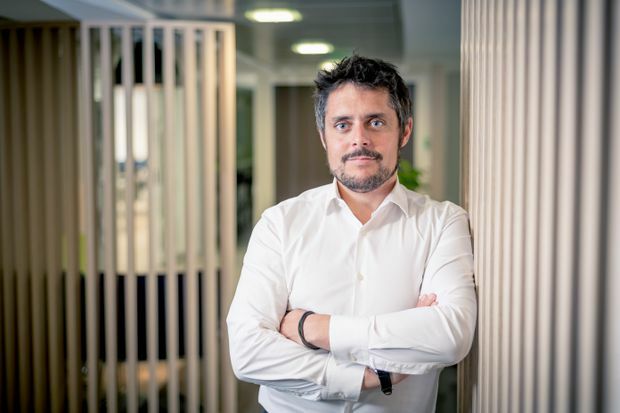 When I co-founded Centreon 15 years ago in Paris, we had a vision to develop an IT infrastructure monitoring platform everyone could use – across industries and infrastructures, people and processes. As the marketplace moved in a parallel direction, our vision led us to become the leading standard in IT infrastructure monitoring in Europe. Fuelled by this success, and the increased pressure of digital transformation taking place globally, we expanded our operations to North America. We selected Toronto as a perfect gateway from which to launch. It is a remarkably connected city, a global and growing tech hub, with a mature digital economy and accessible talent. It’s a connected world. Ubiquitous connectivity links head offices and branches with plants, partners and customers everywhere, at all times. With all the business-critical and private information collected, stored and travelling between these locations, security has never been more vital. We’re regularly reminded of the risk cybercriminals and hackers pose to organizations around the world. Since employees and executives are often the weakest link in security hacks, technology alone isn’t the answer – although it helps. We must closely surveil and monitor our systems and networks through tools and algorithms, but also remain ever-vigilant. Transactions across networks, customer apps and inter-office exchanges must be constant. For most businesses, the clock never stops, and networks must meet performance standards and be always-on – slowdowns or outages can spell disaster in terms of loss of revenue and reputation. Still, people are at the centre of business operations. Consider the domino effect if front-line workers in an airline lose access to critical apps – traffic ultimately grinds to a stop. While tools are increasingly part of the answer, business continuity is a strategic plan. It must be developed and supported by technology, but also by leadership. You can’t fix what you don’t understand, and decision makers can’t drive positive change without knowledge. Digital technologies and the plethora of sources from which businesses gather metrics are giving us an abundance – actually, an overabundance – of data on which to make critical decisions. But quite often the data deluge is too much for individuals or even teams to handle. Ironically, innovations in artificial intelligence and machine learning are helping bring everything back to people enabling them to make better decisions about what their businesses need. What’s happening in IT relates directly back to what’s happening in your business. Pallets don’t move when the supply chain breaks down, and customers desert their virtual shopping cart to never return if their online transactions fail. We all need to ask ourselves, what part do we play in the security, resiliency and digital transformation of our companies? There’s no one perfect answer. It is different for every role, industry and organization. For you and your organization to compete in today’s digital world, you must be as aligned with technology as technology is with your business.